How do you write a fresh book about Jack the Ripper? 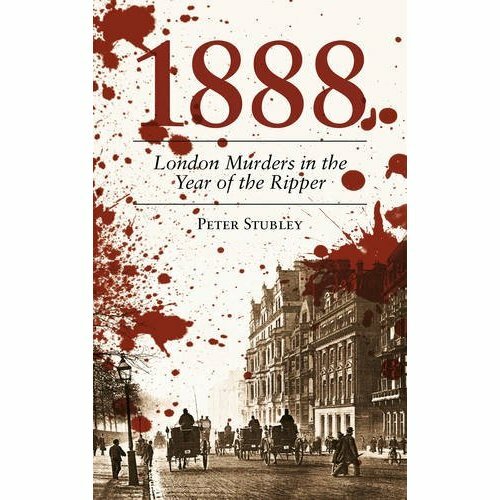 Crime journalist Peter Stubley hit on the idea of examining the other London murders of 1888. His new book recounts 50 other cases from that fateful year, all tragic, but utterly overshadowed in the popular imagination by the Ripper's gory handiwork. Stubley spent many hours in the archives, uncovering the details of these forgotten crimes. He's now plotted them on a Google map, presented below. In once glance, it's clear that the denigrated East End of Victorian times was hardly more murdersome than any other part of town. Killings occurred north, south, east and west with no particular clusters. The Ripper had no monopoly of gore. In Greenwich, two-year-old Peter Ostler had his head cut off by his disturbed mother, while another child was strangled over in Judd Street, Bloomsbury. Over in Pimlico, Sarah Brown had her throat slit on the same night as two of the Whitechapel murders. Stubley's project recovers these tragedies from the obscurity of the archives, and in doing so puts London's most famous murders in a wider context. 1888: London Murders In The Year Of The Ripper by Peter Stubley is out now from The History Press. Buy from the publisher or Amazon.